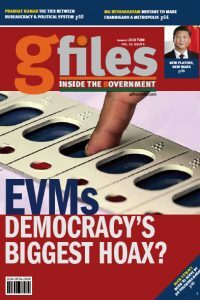 THE Government of India can earn Rs. 1.8 lakh crore by imposing a GST of 18 per cent on sports ‘gambling and betting’ if they make it a legalised vocation. If 28 per cent tax is imposed as it is at present on cars, then the government will earn Rs 2.8 lakh crore. 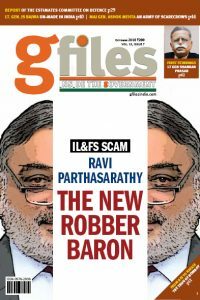 Business lobbyist body FICCI in its 2016 report estimated the size of the illegal betting economy at Rs 10 lakh crore. It’s somewhat enticing for any government in the world. The Law Commission of India recently submitted it’s report, ‘Legal Framework: gambling and sports betting including cricket in India’. 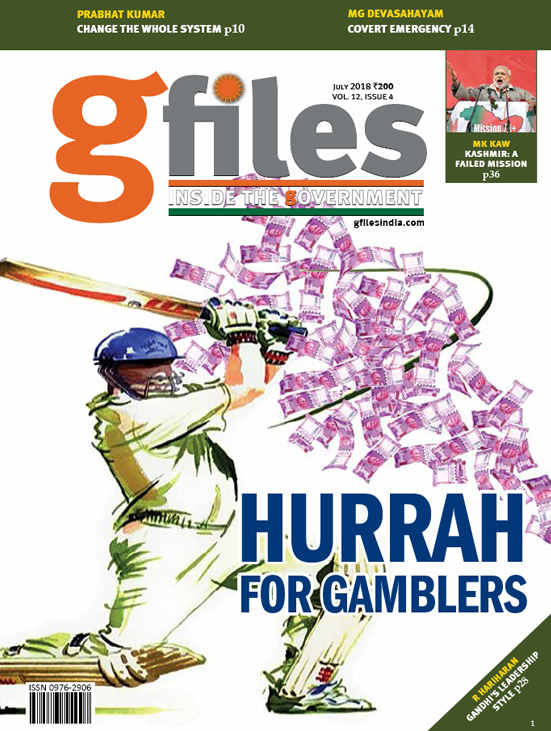 gfiles cover story this time is analysing ‘gambling and betting in sports’, the most dreaded trade war of the world. Broadband has literally opened a Pandora’s Box, as one does not know whether the fellow walker on the road busy on mobile is gambling or betting. The technology has made it a herculean task to keep track. 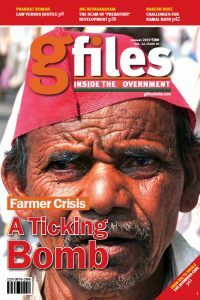 gfiles is the country’s first independent magazine written, designed and produced for India’s civil services—the vast and formidable network of bureaucracies and public sector organisations that provide continuity and stability to this nation’s governance. Every month this niche market product reaches 76,800 individuals with a universe of more than 3,50,000 readers. 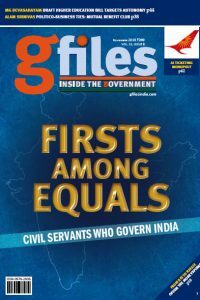 Its exclusive audience consists of the men and women who lead the Indian Administrative Service (IAS), the Indian Foreign Service (IFS), the Indian Police Service (IPS), the Indian Revenue Service (IRS), Class I Union Services, as well as a host of Allied Services. 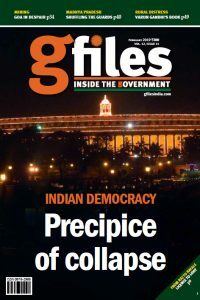 gfiles magazine edited by India’s senior most journalists who have made an intensive study of the reading preferences of decision makers and implementers in government services. 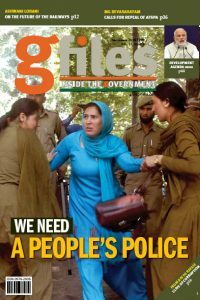 The magazine—with substantial contributions from serving and retired officers—is uniquely designed to engage the bureaucrat’s attention in the entire content. It has therefore been divided into sections according to the specific reading needs of this target audience. 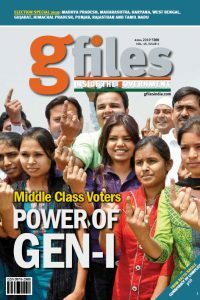 While these readers flip through newspapers and general magazines, they read gfiles from page to page. 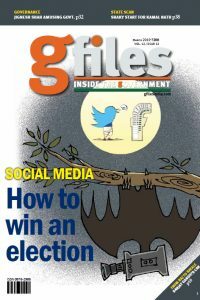 This is because gfiles magazine provides not only exclusive news unavailable anywhere else in the media or the Internet, but also focuses exclusively on the future, anticipating events and developments. It contains detailed, extensive, and accurate reports about transfers and postings. 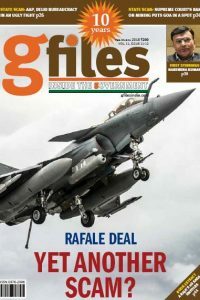 It features interviews, case studies, snippets, retirement profiles, financial planning advice, political changes, as well as birthdays and alumni tracking. 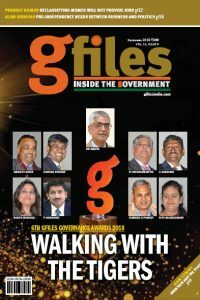 gfiles magazine cuts through rumour mills and hearsay and helps India’s civil servants reach out to one another, share and become acquainted with their issues, practical problems, everyday challenges and the intricacies of their working environment.